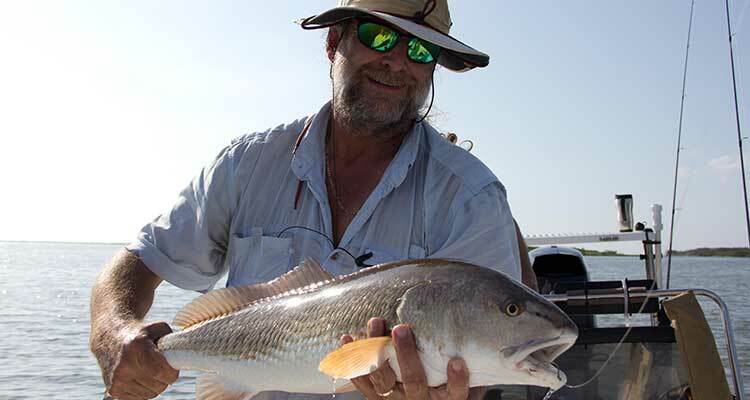 Fishing in New Smyrna Beach includes inshore, offshore, nearshore and surf. Nearshore fishing involves mostly trolling along the beach and nearby wrecks. Surf fisherman relax on the beach while offering sand fleas, clams, shrimp and crabs to target Pompano, Whiting and Drum. Offshore fishing consists of trolling and bottom fishing. 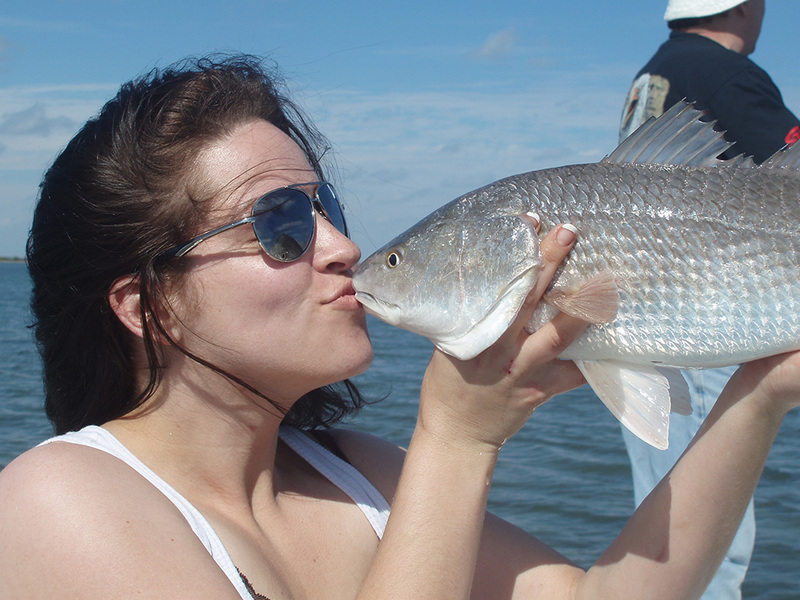 Inshore, flats or backcountry fishing includes stalking the fish and sometimes even seeing the fish take the bait. There is captivating nature all around Mosquito Lagoon, and in all these years, we don&apos;t remember anyone ever getting seasick on one of our charters. Many of our anglers have commented that they have caught bigger fish, and had more fun with Capt. Karty in Mosquito Lagoon than on their previous offshore fishing trips. New Smyrna Beach has a beach that is beautiful beyond description. New Smyrna Beach attracts vacationers ready to relax after the popular attractions of Central Florida. Our location on the east central coast of Florida between Daytona Beach and the Titusville / Cocoa Beach area is one hour from Disney World, SeaWorld, Universal Studios and Kennedy Space Center. New Smyrna Beach is considered a prime vacation destination for families who love it and continue to return every year. Scottish physician, Andrew Turnbull&apos;s English Colony lasted only a decade with 1225 settlers. This colony started the building of the drainage canals that allowed for later colonies to succeed. Some of these first canals can still be seen today along Canal Street. The New Smyrna Mill (also known as the Cruger and DePeyster Sugar Mill) was built around 1830. A major sugar and syrup processing location, it burned to the ground during the Second Seminole War. Archaeologists have unearthed many religious artifacts which led many to believe that before its days as a mill, the site was the location of a chapel built by Christopher Columbus during his second voyage. The Ponce de Leon Inlet Light Station was completed in 1887 and designated a National Historic Landmark in 1998. Restoration was completed after decades of work. Due to the efforts of the Ponce de Leon Inlet Lighthouse Preservation Association, the Lighthouse is considered to be one of the best preserved. It is the tallest lighthouse in Florida and the second tallest masonry lighthouse in the United States. The lighthouse tower and museum are open to the public. There are 203 steps to the top of the 175-foot tower which provides outstanding views of the Greater Daytona Beach Area. The Ayres Davies Lens Exhibit Building boasts one of the finest collections of restored Fresnel lenses in the world. Turtle Mound is the highest shell mound in the United States. Located inside Canaveral National Seashore, this two-acre site contains over 35,000 cubic yards of oyster shell. Visitors today are led to the top of Turtle Mound by an educational boardwalk. From its vantage point at fifty feet high, Turtle Mound provides a breathtaking view of the Atlantic Ocean, Mosquito Lagoon, and the surrounding area. It is said to be visible from miles offshore and has been used for navigation for centuries and presumably as a lookout by the Native Americans who built it. It&apos;s worth your trip to Turtle Mound. Just head south on A1A to Canaveral National Seashore. Each time I have fished with you is more enjoyable. Your personality is one of the main reasons I came back. Catching fish is just a bonus. Capt. Karty Always Finds The Fish – Great with Family & Kids!!! 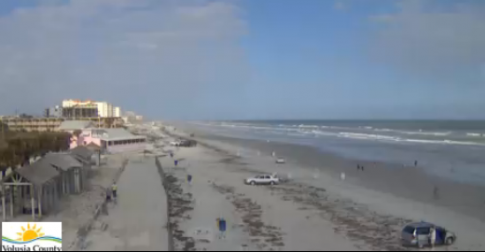 New Smyrna Beach is 20 minutes from the Daytona Flea Market. It is located in the southwest corner of I-95 and US-92, also known as International Speedway Boulevard. It claims to be the World&apos;s Largest Flea Market and it is worth your visit if you have never been. There are hundreds of vendors with everything imaginable. This market is covered with air-conditioned sections. Restaurants are available and you can even enjoy a beer while you browse the offerings. The Daytona Flea Market is open every Friday, Saturday, and Sunday 9 A.M. to 5 P.M. Rain or Shine. Local small town shops can be found on Flagler Avenue and Canal Street. The Car Show held the first Saturday of every month is one of the Events on Historic Canal Street offering live music, great food and drinks with tropical themes. Check out the weekly Farmers Market. Art Stroll/Gallery Walk is also held on the first Saturday of every month. One of the best places to see wildlife is along the 7-mile Black Point Wildlife Drive. The one-way drive in the Merritt Island National Wildlife Refuge provides an excellent place to see waterfowl, wading birds, shorebirds and raptors as well as alligators, river otters, bobcats, various species of snakes, and other wildlife. For golfing, try Hidden Lakes Golf Course, New Smyrna Beach Golf Club, Venetian Bay Golf Club, or The Preserve at Turnbull Bay. New Smyrna Beach is a lovely small town with everything to keep visitors coming back again and again. Click here for assistance with your accommodations in New Smyrna Beach.